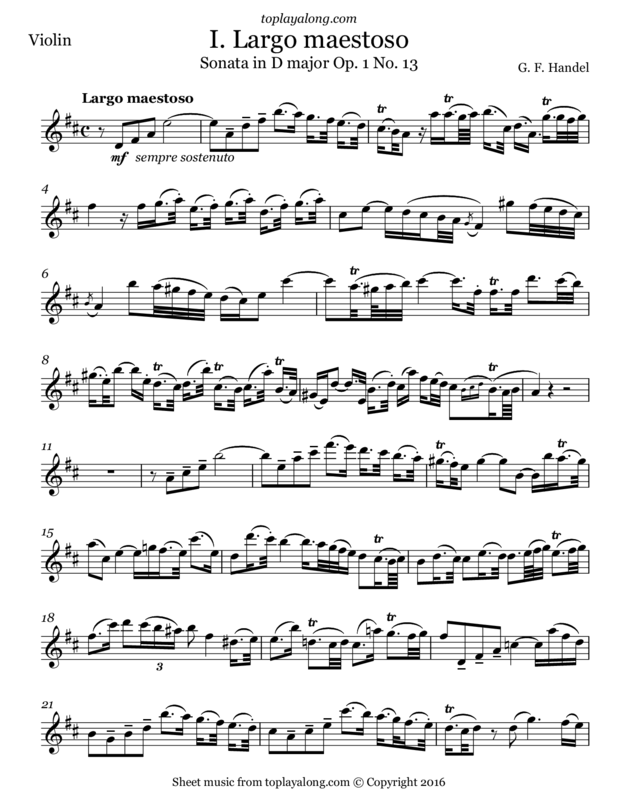 First movement (Largo maestoso) of the Violin sonata in D major (HWV 371) for violin and keyboard (harpsichord) Opus 1 No.13 . Other catalogues of Handel's music have referred to the work as HG xxvii,47; and HHA iv/4,28. This sonata represents Handel's last piece of chamber music.